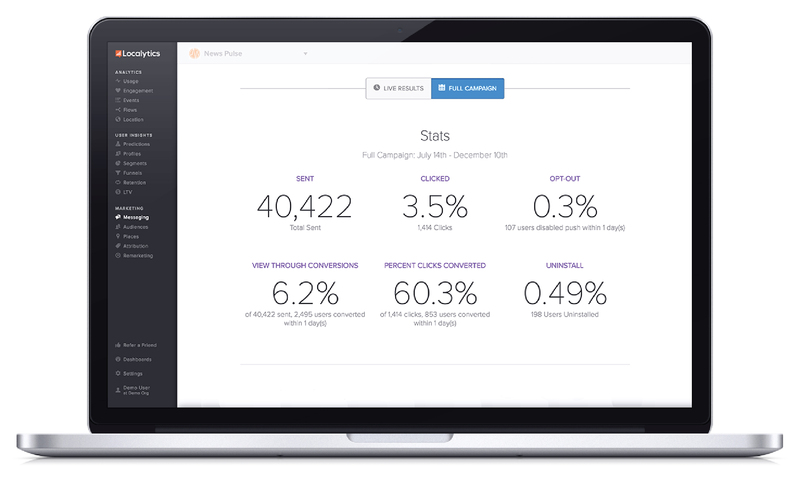 Say hello to the ultimate campaign optimization tool. True ImpactTM is a unique reporting tool that allows you to see exactly how users respond to your Localytics mobile app marketing campaigns – everything from the revenue generated to the uninstall rate. 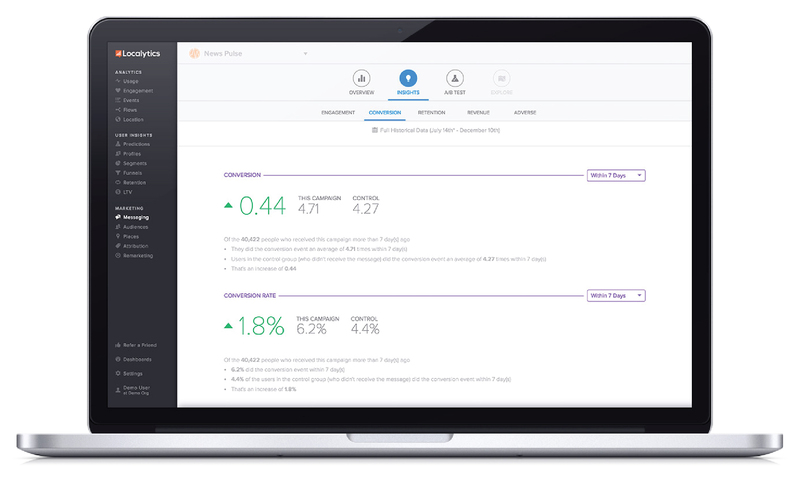 With True Impact, you can move beyond vanity metrics and optimize your campaigns based on which messages are driving business results. 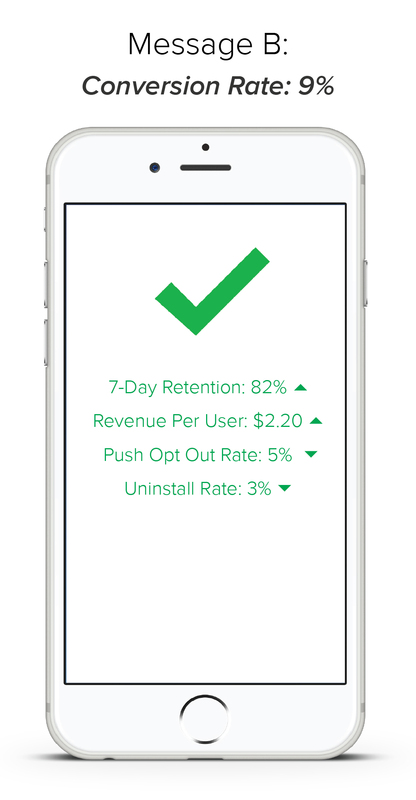 See which campaigns are improving the ROI of your app. 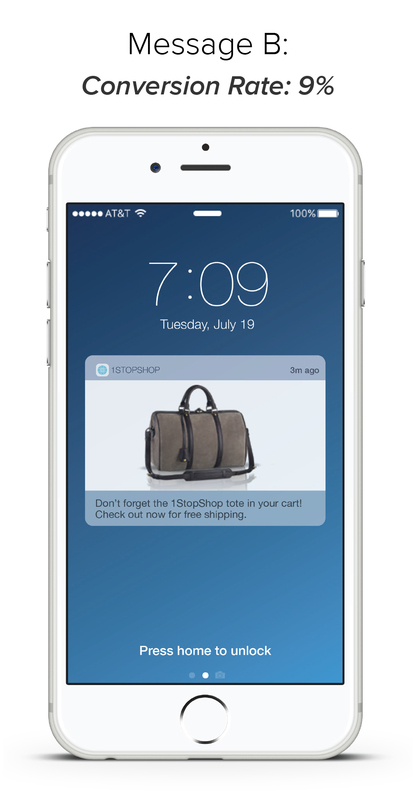 Understand what users do after they receive your message. Prove that your marketing efforts are delivering results. A/B test up to 10 versions of every campaign. 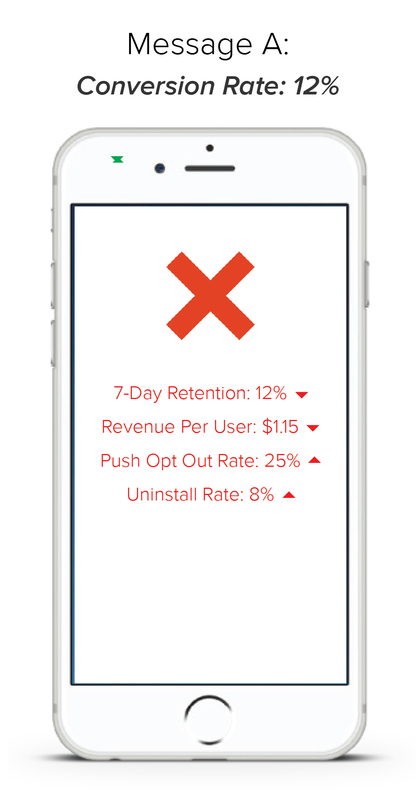 As you can see from the example above, if you solely rely on conversion rates to evaluate the effectiveness of your campaigns, you could be sending messages that are causing long-term damage to your app and your mobile marketing strategy. With True Impact, you can see the complete picture of how your messages are driving changes in user behavior – for better and for worse. True Impact starts by showing you standard top level metrics like sends, opens, and conversions. What’s more, True Impact intelligently highlights relevant metrics based on your campaign’s objective. For example, if you send a push notification whose objective is to re-engage churned users, True Impact will highlight metrics like how many users have re-opened your app. Then dive into the details. After getting a top-level understanding of your campaign, you can peel back the layers and understand precisely how your campaign is influencing your users’ behavior. 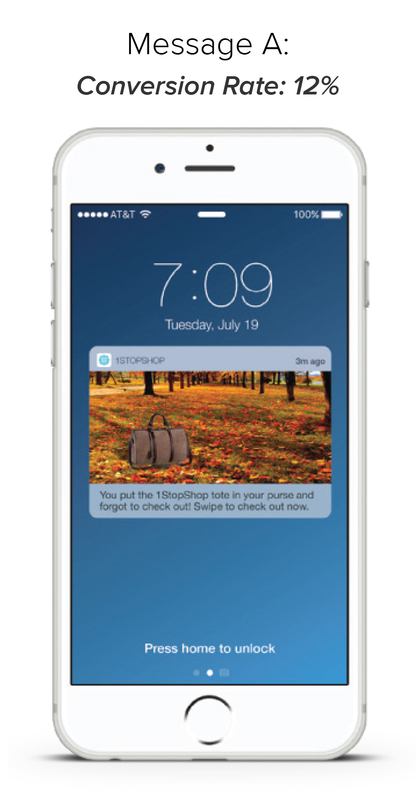 True Impact provides a variety of detailed metrics around engagement, conversion, retention, revenue, and adverse reactions (behaviors such as disabling push notifications or uninstalling your app after receiving a campaign). Optimizing your app marketing strategy is a never-ending process, so we let you A/B test up to ten versions of every message you send. Run multivariate tests on message content, imagery, CTAs, and more. You can choose what percentage of the target audience sees each message, which is great if you want the majority of an audience to see a message that has historically been successful, while still testing out new messages with small subsections of the audience. 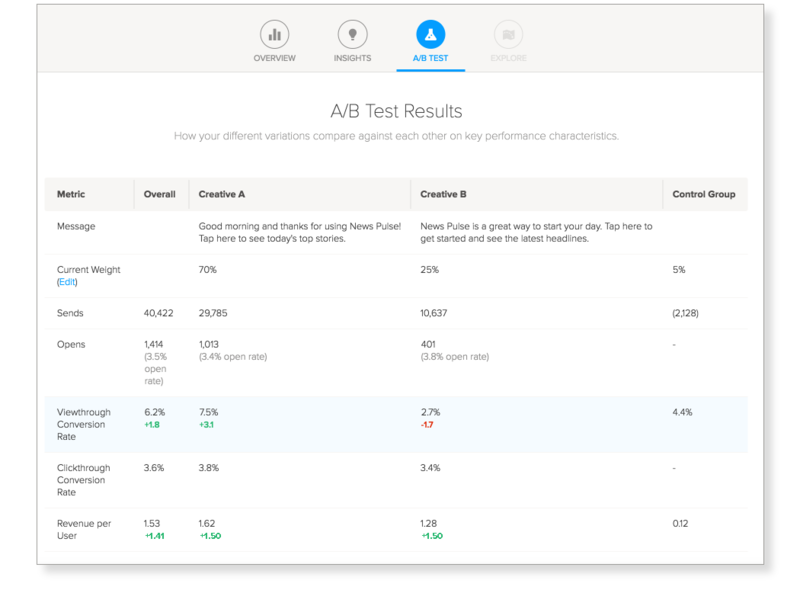 After running A/B tests, it’s easy to compare the performance of each variant and select a winner. True Impact shows you a wide array of metrics for each variant, allowing you to understand exactly where your creatives excelled and where they struggled. We’re just scratching the surface of what True Impact and the Localytics Mobile Engagement Platform can do for you. To see more, schedule a demo with one of our knowledgeable associates.